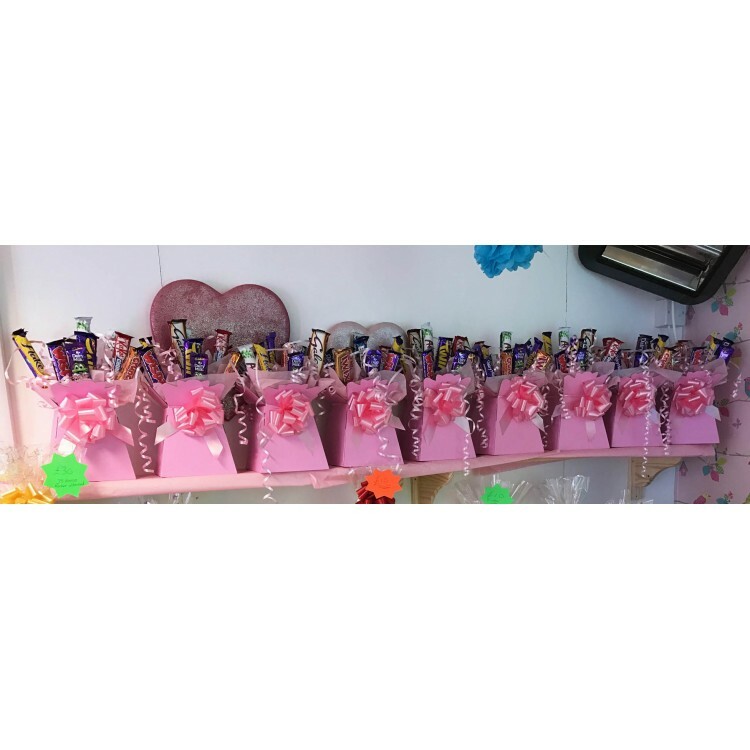 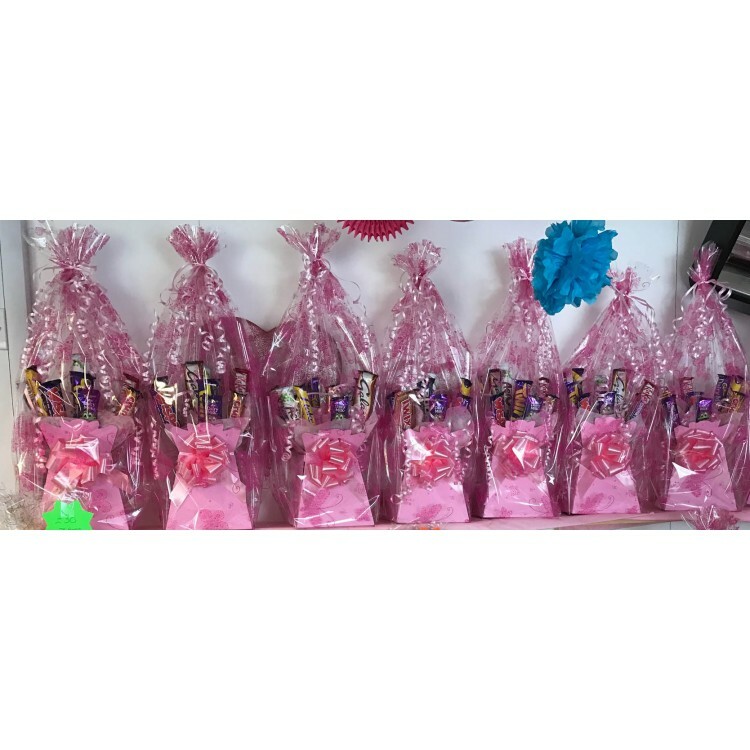 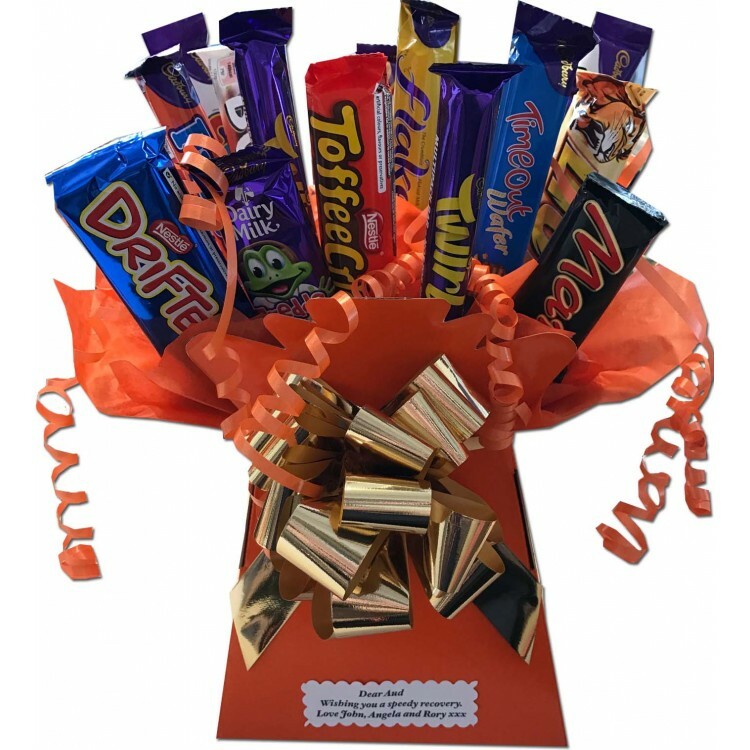 Stunning bouquet of chocolate bars, perfect gift idea for all chocoholics out there, they also look stunning as table centre pieces for any party. 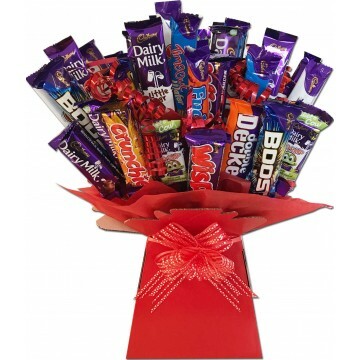 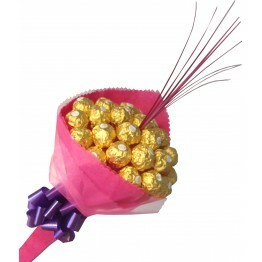 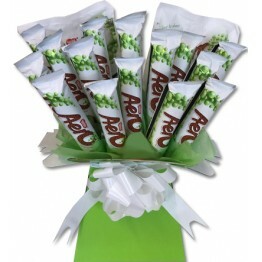 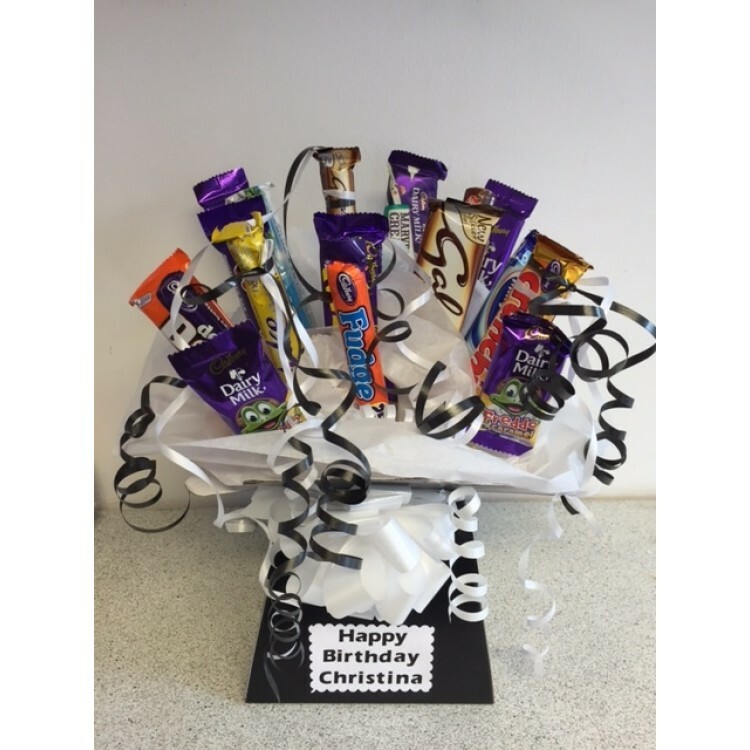 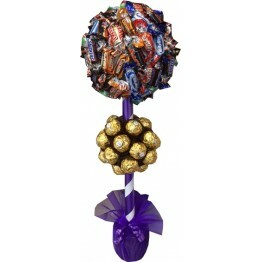 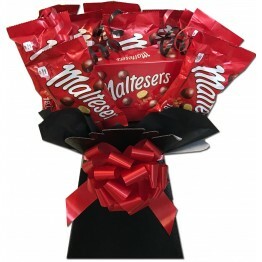 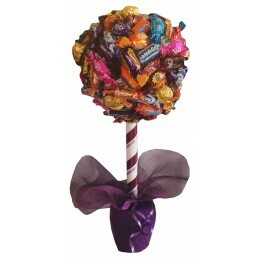 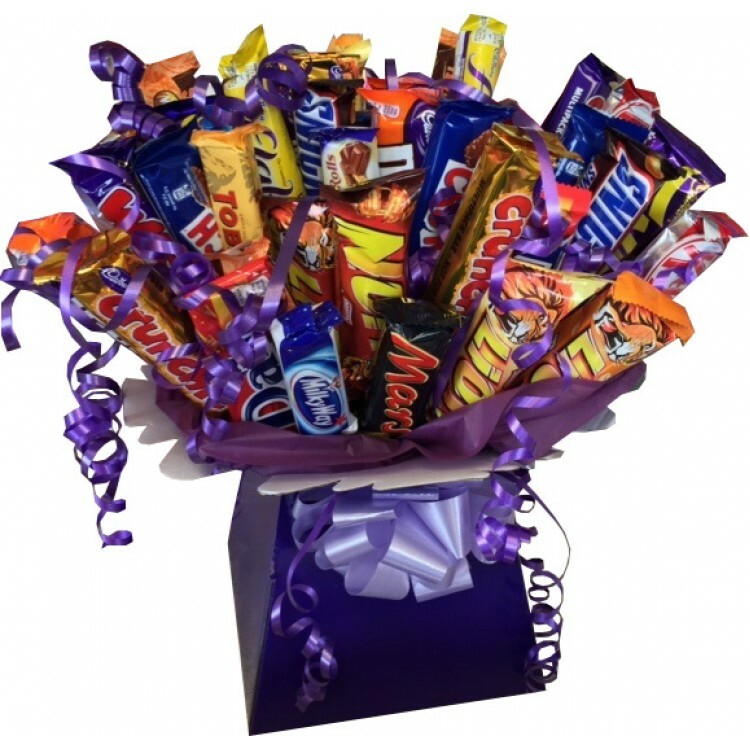 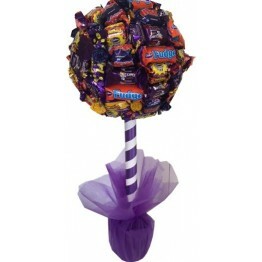 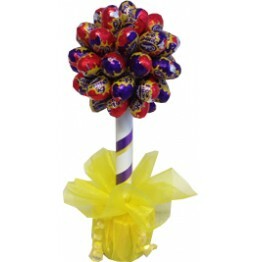 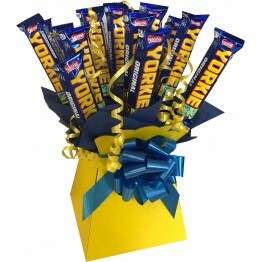 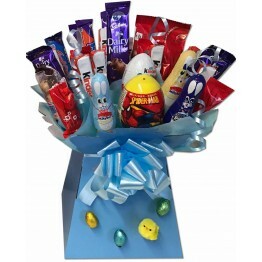 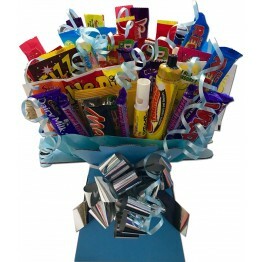 The Chocolate Bar Bouquet has a great selection of chocolate brands, from Cadbury's to Mars & Nestle. The medium bouquet contains 15 bars of chocolate, the large size contains 25 bars and the extra large contains 45 chocolate bars! 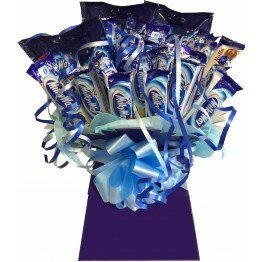 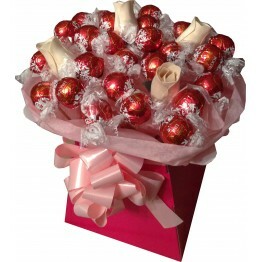 Presented in a box bouquet display in a colour of your choice & also beautifully gift wrapped for that perfect gift.